Throwing a shower or rehearsal dinner for an outdoorsy pair? Celebrate the couple's love for nature and each other with a tree-inspired event. 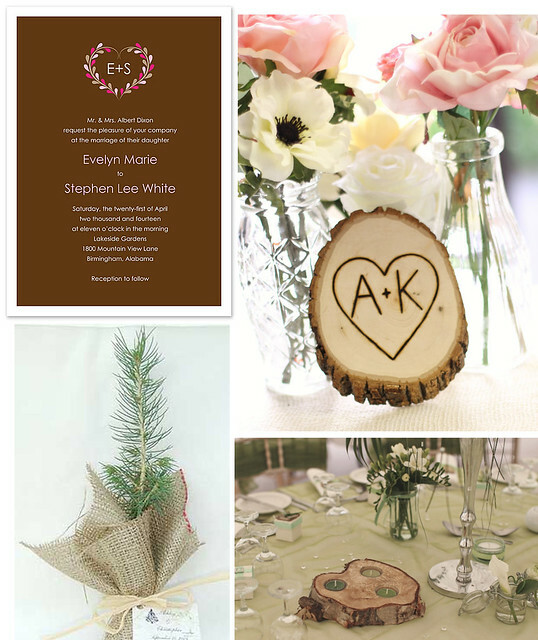 Send this initial invitation by Stacy Claire Boyd, decorate with carved wood slices and give out tree saplings as the event favor so that guests can watch them (along with the couple's love) grow stronger for years to come.